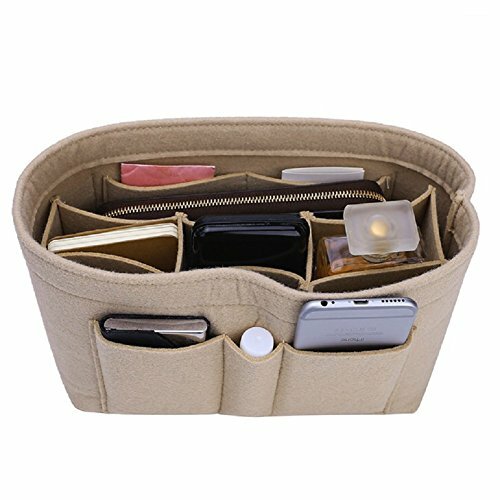 Felt Insert Bag Organizer Bag In Bag For Handbag Purse Organizer, Six Color Three Size Medium Large X-Large (Large, Beige) | What Should I Say? Thick Felt Fabric Better Protect Your Items Inside Handbag. Fits For a Variety of Models Handbags, Easily Take Out and Save Your Time For Changing to Another Handbag. If you have any questions about this product by ZTUJO, contact us by completing and submitting the form below. If you are looking for a specif part number, please include it with your message.